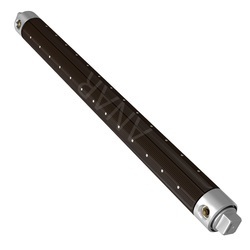 We are a leading Manufacturer of air expanding shaft, leaf type air expanding shaft, lug type expandable shaft, mechanical expandable shaft and lug type expanding shaft from Ahmedabad, India. Body Material Aluminium & M.S. Air Expanding Shaft These devices are used for winding and unwinding operations in various industries such as plastic, paper & packaging, polyester, film, foil, rolling mills, tyre, textile process etc. 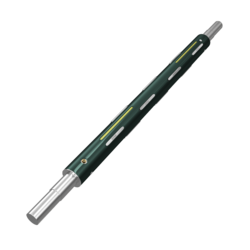 We bring forth a range of Air Shafts that include lug type air expandable shafts, Leaf Type Air Expandable Shaft and others. These devices are used for winding and unwinding operations in various industries such as plastic, paper & packaging, polyester, film, foil, rolling mills, tyre, textile process etc. Fabricated using the latest technology, our range ensures no core damage, uniform operation and saves loading unloading time during the process. 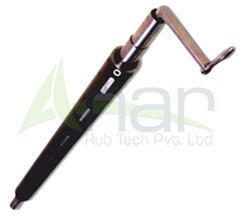 Further, our range is available in various length, sizes and other specifications as laid down by our clients. 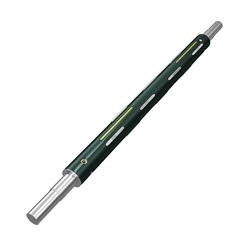 Offer our quality Lug Type Expandable Shaft at very affordable price details as following. Suitable for Core ID. 3" and 6"
Lug Type Expanding Shaft with Wedge type design makes it possible for concentric holding and allow high speed winding. Heavy spring is applied for ensuring sliding back of lugs. True mechanical advantage is used in achieving heavy clamping force Absolutely maintenance free as no rubber components or lubrication.